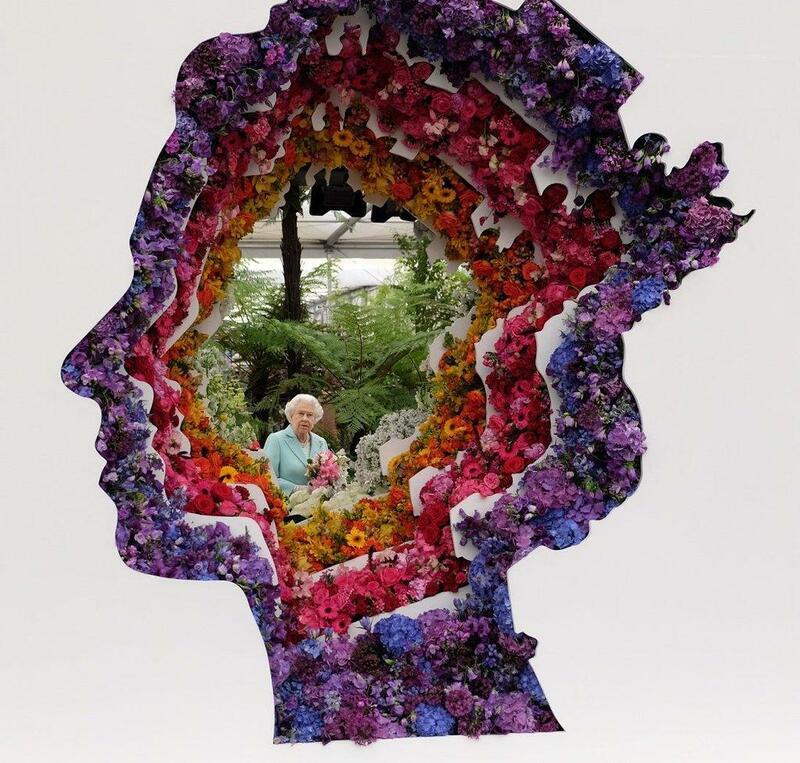 The Queen and other members of the Royal Family visited the Chelsea Flower Show. For more: Zimbio gallery, Article from the Mirror. Breathe easy, troops: we've made it another year without The Hairnet. We did, however, get our mandatory yearly appearance of the Chelsea Iris Brooch, Her Maj's Diamond Jubilee gift from the Royal Horticultural Society. The brooch includes a yellow diamond, tourmalines, amethysts, sapphires, and diamonds in white gold. As always, The Queen was joined by several of her family members at the show. A few of my faves tomorrow on the other blog.